Everywhere you look, restrooms are going touch-free, with sinks, toilets and towel dispensers leading the way. Cleaning machines have gone touch-free as well, enabling building service contractors' staff to clean more efficiently and thoroughly without touching the contaminants lurking in a restroom. These machines typically hose down an area with cleaning solution, using either a wet vacuum to recover the liquid or a squeegee to direct it toward a floor drain. "Restrooms represent the epicenter of where germ transmission happens," says Peter Sheldon, vice president of operations, Coverall Health-Based Cleaning System, Boca Raton, Fla. "It's the reason we looked at restroom cleaning machines in the first place." The machines fit well with Coverall's science-based cleaning system, he says, which includes using color-coded textiles and mopping systems to avoid cross-contamination in facilities. "Having a machine where you can flood surfaces and recover soil with a high-power wet vacuum is the most effective process out there for killing and removing germs," Sheldon says. In fact, when Sheldon has scanned restrooms with bio-detection equipment after being cleaned with one of these machines, he's found surfaces disinfected and sanitized to food contact surface standards. "These machines allow you to clean a restroom floor down to the same standards that you would need to meet to prepare a chicken on it," he says. "It's really amazing." It's no secret that restrooms are cleaner — they look it, says Larry Faust, owner of CleanWay Maintenance Services in Brownsburg, Ind. "We have a lot of athletic events at our school, and I routinely have parents and visitors telling me how clean our restrooms are," he says. Why a better cleaning? Simple. A machine spraying chemicals and water onto a surface at 500 pounds per square inch (psi) then sucking up the wastewater or squeegeeing it down the drain to ensure the area is completely dry and all soil has been removed is going to be far more effective than traditional string or flat mops. A 2009 study testing spray-and-squeegee techniques vs. conventional mopping found that on grout surfaces, string mops left 36 times the microbial bacteria and flat mops left 40 times the simulated urine residue. Likewise, a machine's 50-plus feet of hose enables technicians to clean in areas that were not easily cleaned before. For instance, Milwaukee-based CleanPower technicians deep-cleaned school restrooms every summer to physically remove soil from tight spaces, such as under toilets and in grout lines. "We don't have to do periodic cleaning like that anymore," says Stephen Michael, CleanPower division manager. "You routinely get in-between hinges and other places you couldn't get into before." Restrooms also smell better because odor-causing contaminants are being regularly removed, adds Sheldon. "In traditional cleaning, you cannot get along the nuts and bolts of the toilet and underneath it very well," he explains. "With this machine you can blow the dirt and bacteria out and force it to the floor where it can be removed." The machines are easy to use, adds Faust, noting preparing a unit takes just a few minutes. They are self-contained, meaning they carry everything needed to do the job onboard. "All you have to do is hook up the water line and you're ready to go," Faust says. Operators require very little training to use these machines. In fact, technicians typically can be taught how to operate them in less than an hour. Faust points out some units even come with pocket cards that show cleaning steps for every restroom surface. "All technicians have to do is flip the card over to see exactly what needs to be done and how to do it," he says. The steps to follow are extremely simple, even without cards, adds Michael. Technicians use the machine to apply chemicals, let it dwell for five to 10 minutes, then hose surfaces off and vacuum up or squeegee the soil-containing wastewater. Units can dispense up to four products: glass cleaner, disinfectant, neutral cleaner for floors, and tile cleaner for urinals, sinks or toilets. All operators need to do is select the appropriate cleaner for the job, and the machine does the rest. "You really cannot do it wrong," Faust says. "You're not mixing any chemicals. The one we have has chemical injection, so it dilutes the chemical correctly for you." Break down is equally simple, he adds. Technicians just empty dirty water into the sanitary sewer, if using vacuum unit, wipe off the hoses and clean the unit's recovery tank. It takes approximately eight hours to train a technician to fully maintain the machine's internal workings. And while it's nice to have someone trained to do this, Faust points out the machines are largely maintenance-free. "We've had our unit for about 10 years," he says. "I've had a couple of repairs done on it, but otherwise it's doing very well." The caveat is that restroom cleaning machines are far more expensive than microfiber wipes and a mop and a bucket. BSCs can expect to pay anywhere from $1,200 to $6,000, depending on the manufacturer, type of machine and the features it has. But BSCs already on board say the machines pay for themselves through greater efficiency, which adds up to significant labor savings. CleanPower has used restroom-cleaning machines for five years in a local school district's middle and high schools. While initially it took some extra time to remove dirt and grime build-up, eventually the machines cut cleaning times almost in half, says Michael. "We've gone from 2.5 minutes per fixture to 1.9 minutes per fixture," he says. "So just from a labor standpoint, we're putting a lot of money back into the budget." Faust states CleanWay's restroom cleaning machines have paid for themselves 10 times over in the decade they've had them in service. "I paid for them with the labor savings I realized," he says, noting it once took a half-hour to clean high school restrooms and now it takes approximately 17 minutes. Sheldon reports even better results, noting they've reduced the time it takes by two-thirds. "Cleaning a restroom with traditional methods took about three minutes per fixture," he says. "With this machine, it takes just one minute per fixture." BSCs are faced with a plethora of choices that include single- or triple-stage motors, varying water pressures, differing hose lengths, and feature choices. If using a squeegee unit, make sure restrooms have a floor drain available. The choice of water pressure matters, Sheldon says, pointing out that if the psi is too high, it can damage surfaces. "A pressure washer like that used in a car wash might clean really well, but it will blow the tile off the wall and remove grout, too," he says. "You need something that provides enough power to clean but won't damage surfaces." Coverall's machine uses a 500-psi pump, which Sheldon says he's found to be perfect for the task at hand. The unit scours grout, sinks, urinals and toilet bowls really well without surface damage. The right vacuum motor makes a difference, too. Many units come with single-stage motors, but Sheldon has found that a three-stage motor more effectively removes dirt and debris. "Machines with single-stage motors have traditional wet vacuums, so you often have an issue of performance and durability," he says. "A machine with a three-stage motor is typically built to last and can perform at the highest level." Though a 50-foot hose comes standard on many machines, some inexpensive units have less than that, while others have far more. Sheldon says they've found 50 feet to be just the right length. 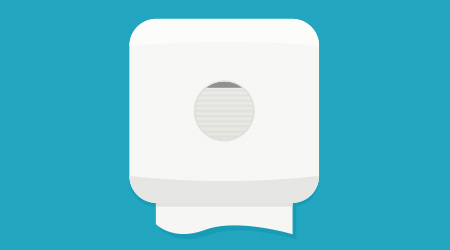 It enables cleaners to reach an entire standard restroom effectively without being cumbersome, he says. Machine size and width is also a consideration, adds Michael, who notes a larger unit might clean well in a high school, but not in an elementary school where toilets and stalls are smaller. "You have to match the size of the machine to the size of the area you're going to clean," he says. Because restroom-cleaning machines spray a fan of water across all surfaces to clean, they simply do not work in some restrooms. "If you have drywall, you can't spray water all over it or you'll have water damage," says Sheldon. BSCs also need to consider restroom size. For instance, Faust uses the machine in locker rooms and larger-size bathrooms, but notes he cannot use it smaller restrooms that have only one stall. But while some restrooms may be off limits, other facility areas may not be, Michael emphasizes. For instance, CleanPower technicians employ these machines to rinse floors after they've scrubbed or waxed them. "This neutralizes the cleaner and thoroughly dries the floor off," he says. "We've cleaned carpets with them, and we've cleaned kitchens with them. We've removed dust from floors after construction. We clean the patios and indoor/outdoor at a local resort. You have to keep thinking outside the box of about where these machines will work. Your options are limitless."